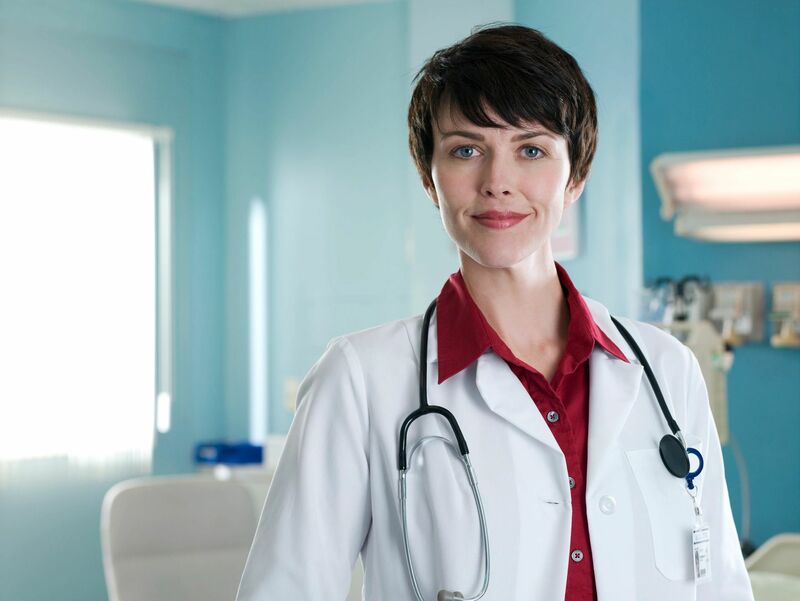 Daily sam® treatment reduced arthritis pain by 40% in patients with moderate to sever knee OA. 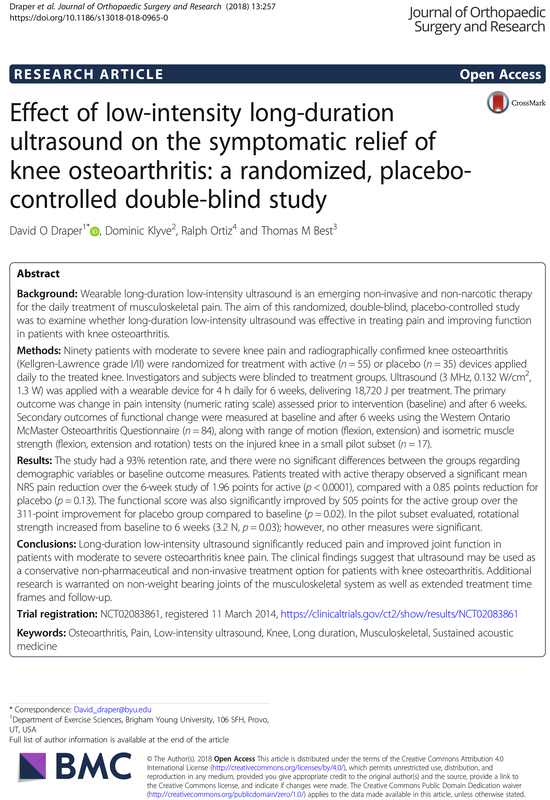 Draper et al 2018 “Effect of low-intensity long-duration ultrasound on the symptomatic relief of knee 1 osteoarthritis: a randomized, placebo-controlled double-blind study” J Orthop Surg Res. 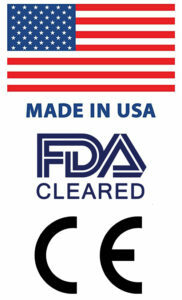 2018; 13: 257. 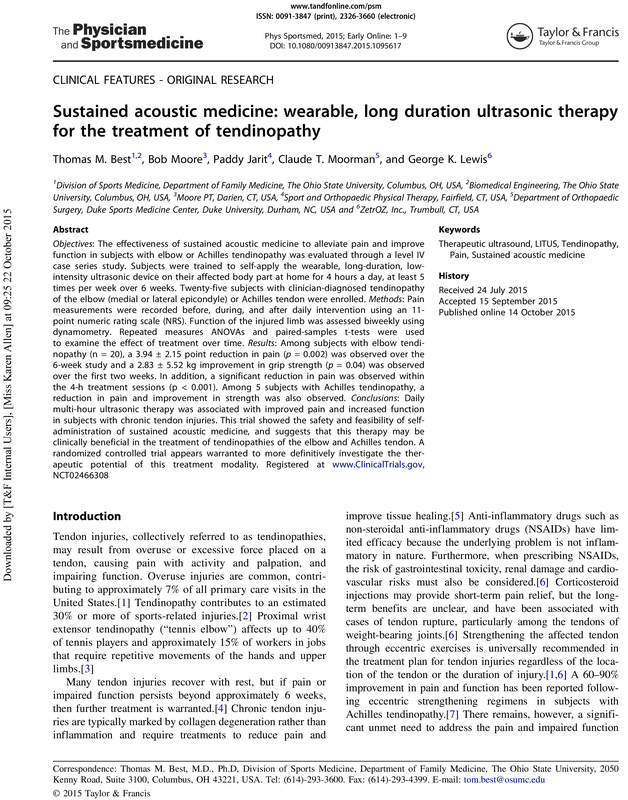 Best et al 2015 “Sustained acoustic medicine: wearable, long duration ultrasonic therapy for the treatment of tendinopathy” The Physician and Sportsmedicine 15 Oct 2015. 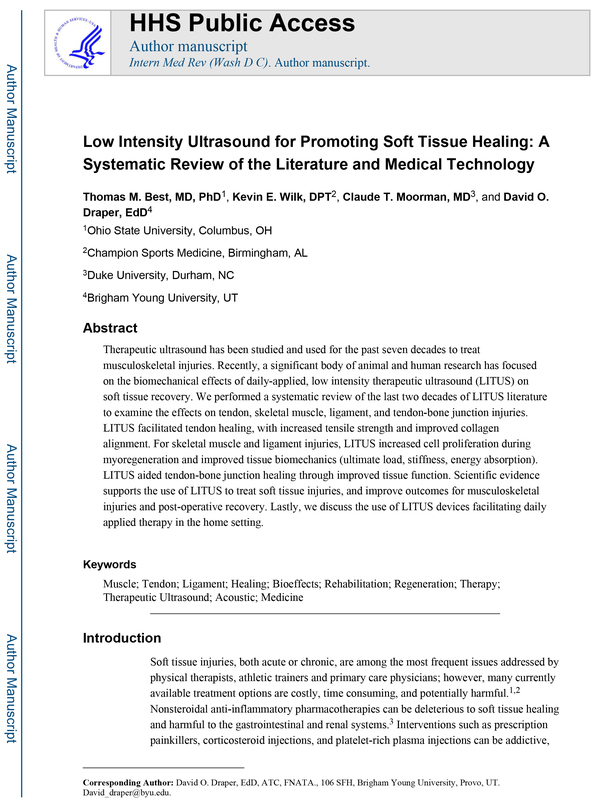 Taggart et al 2014 “Human Factors Engineering and Testing for a Wearable, Long Duration Ultrasound System Self-Applied by an End User” Conf Proc IEEE Eng Med Biol Soc. 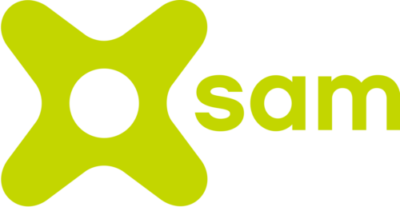 2014 ; 2014: 554–557. 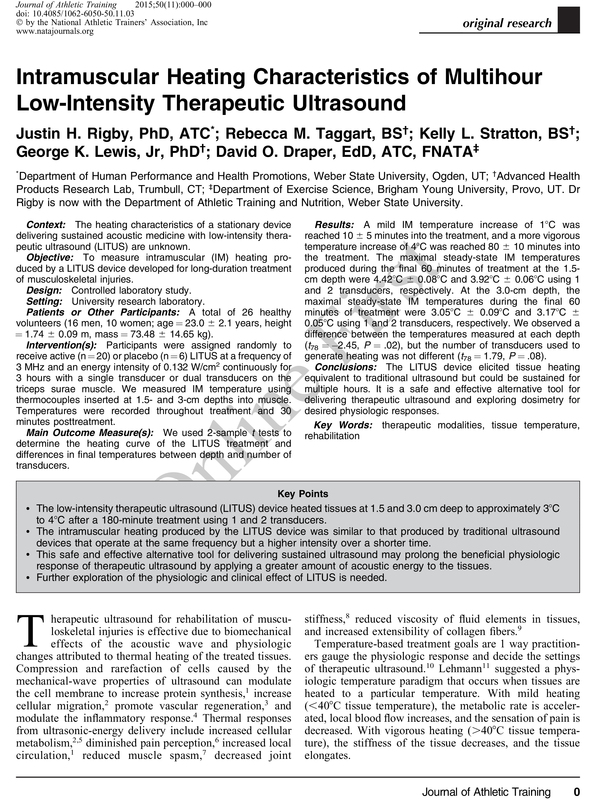 Lewis et al 2013 “Wearable long duration ultrasound therapy pilot study in rotator cuff tendinopathy” Proc Meeting of Acous. June 2013.